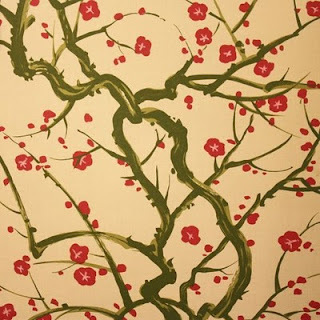 Taking queue from blogger Chinoiserie Chic's previous post - click here to read - from July '10 highlighting Flowering Quince, a wallpaper & fabric offered by Clarence House, I've spotted the floral print in 2 recent shelter magazines. The August 2010 issue of Atlanta Homes & Lifestyles features the design work of Betty Burgess - she has chosen to use Flowering Quince in a Bathroom on both walls & upholstery. 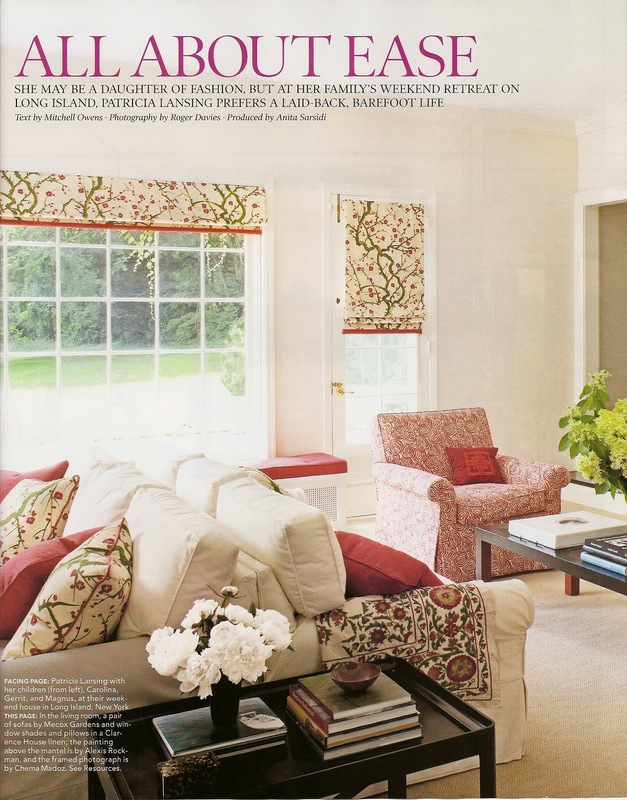 Elle Decor October 2010 features the home of Patricia Herrera Lansing (daughter of legendary fashion designer Carolina Herrera), who has opted for Flowering Quince on drapery and pillows in the Living Room of her Locust Valley, NY home. Check out of the images below. Interior Designer Betty Burgess has selected Flowering Quince for a Bathroom (upper right corner) in the home of Derek Lowe. August 2010, Atlanta Homes & Lifestyles Magazine, click here to read more. 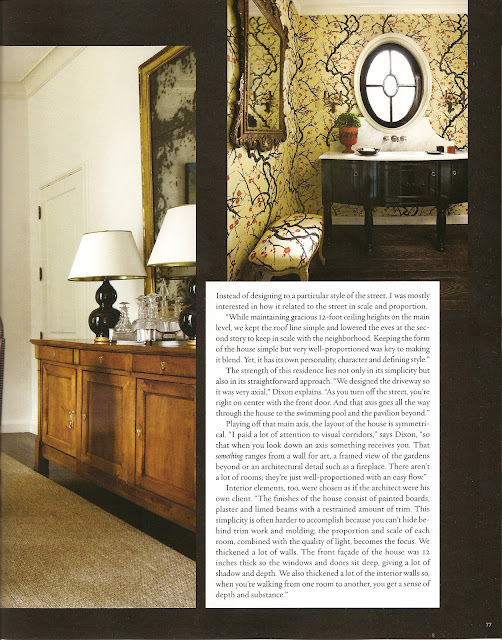 Elle Decor, October 2010 - The Living Room of Patricia Herrera Lansing. Flowering Quince is found on both drapery & accent pillows.